Pets are just as welcome at the Squeaky loft as people. So when WellPet asked us to create an all-new presence for two of their leading brands we were thrilled. For the most widely spread brand Wellness, keeping in mind the ever-growing pet community, we integrated communal features such as the Wellness Blog, Pet of the Month and the Naturally Well Pet Club – which offers exclusive benefits like helpful pet articles, fun contests, new product alerts, special offers, and more to further engage visitors and build the community. 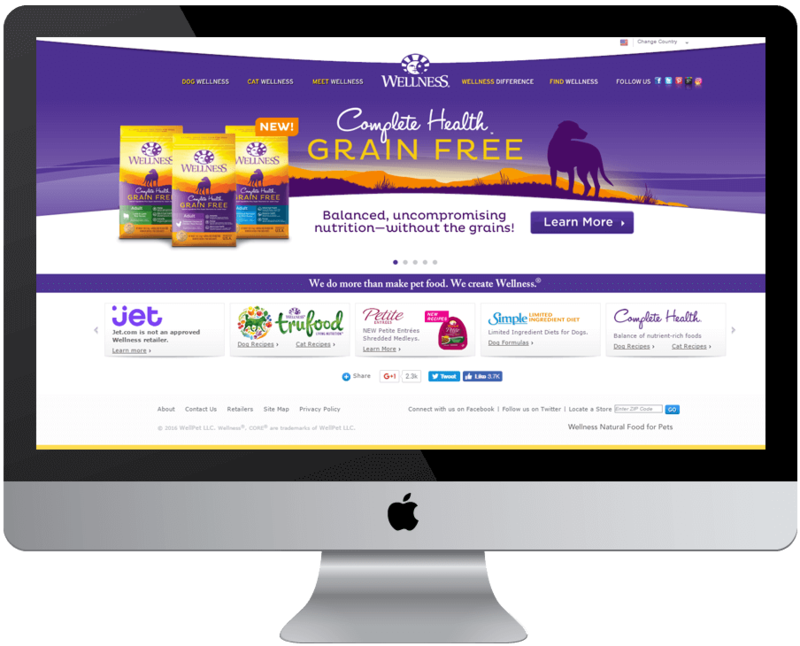 With WellPet’s premium pet care brand Holistic Select we were able to position the brand as the go-to resource for pet education, nutrition and product information. Making the site more of a communal experience we also integrated user-generated content, community features, and established social media platforms. With the ever expanding product lines of Wellness and Holistic Select, Squeaky created clean, user friendly, and flexible sites that allow products to be easily navigable and their information easily digestible. Flexible hero sliders and homepage buckets give Wellpet full control over the hierarchy of their featured products and calls to action upon landing. The visual design of each site adheres to their target audience while maintaining a similar information architecture. 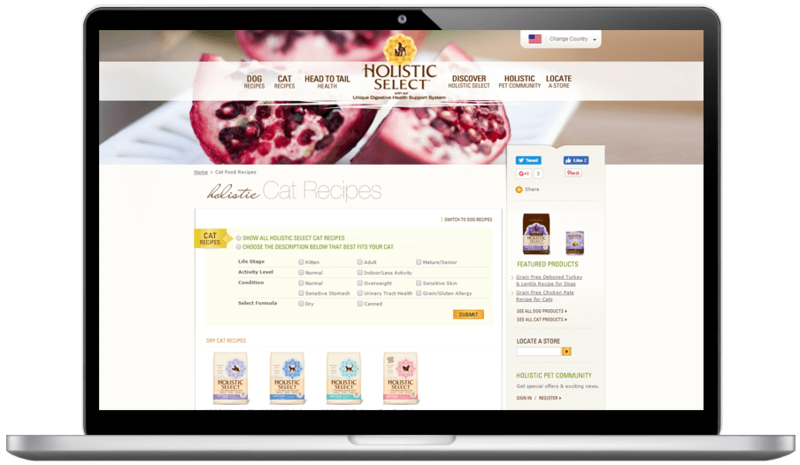 Holistic Select’s treatment reflects their all-natural premium product line while the Wellness site is crafted for a much broader target audience. Community features and social media platforms are fully integrated allowing for instant sharing and engagement across the sites.